Scroll down to have a look over ClubSport Stirling's news stories of 2013.
safeguarding visit www.sportscotland.org.uk/helpforclubs and explore a variety of content designed to help clubs improve their practice. The results of the first ever ClubSport Stirling online survey are now available. Many thanks to all of you who took part. There were 88 replies. There is a lot of information in the survey and the next stage is for the ClubSport Stirling Survey Group to review the answers, create an action plan to address points raised and review all the written comments submitted. Can I ask that if you are an Active Stirling Development Officer, Club Secretary, Coach or on any Club Management Committee that the results are made available to any of your members. The results can be viewed here. Please note this is a large document if you are printing. Officer to discuss any of the report. Thanks again to those that took part. 70 Nations and Territories - 190,000KM. 288 Days. 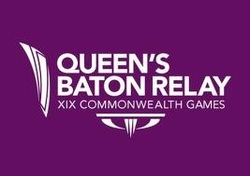 Do you want to become a 'Community Batonbearer' for Glasgow 2014 Commonwealth Games? 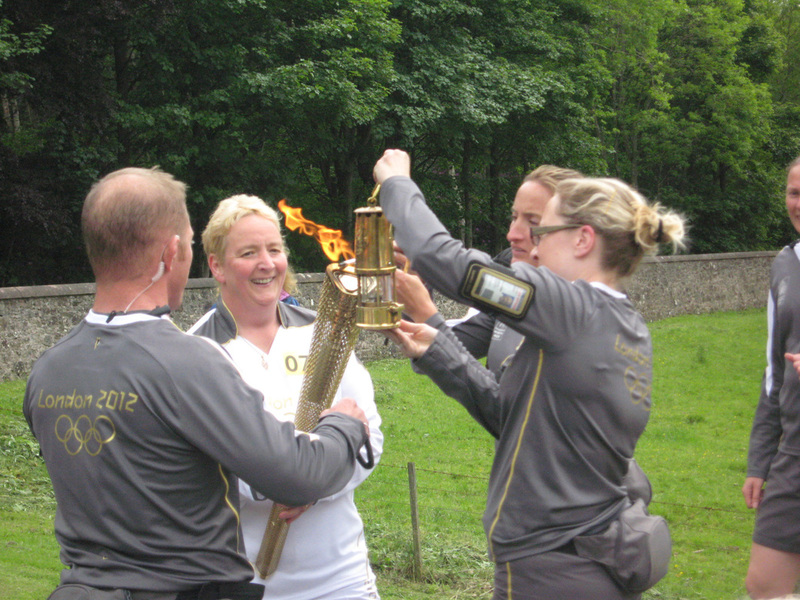 Being a torch bearer for London 2012 was undoubtedly one of the proudest and most memorable moments in my life! I was so honoured to be nominated by ClubSport Stirling, privileged to be selected by the organising committee and overwhelmed by the magic of the “Moment to Shine”. was ecstatic that my family and friends travelled to share in the splendour of the day. 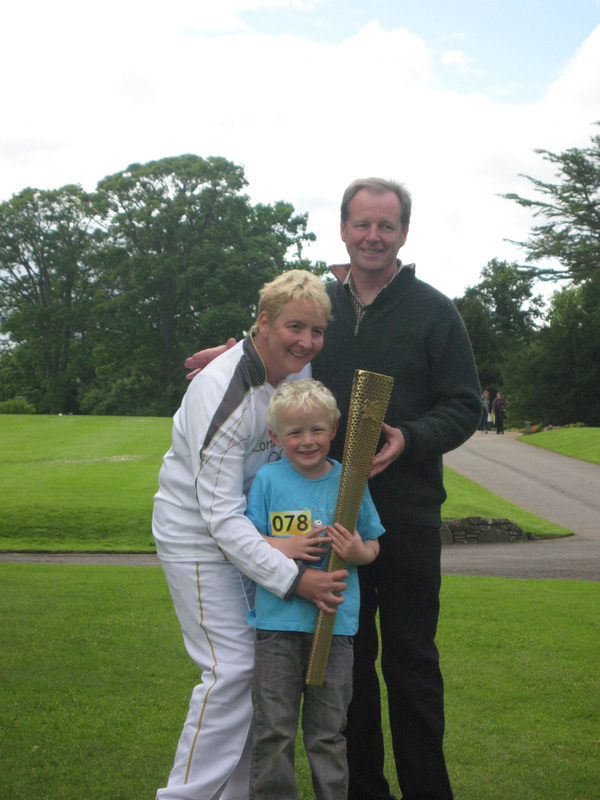 I was jubilant that the kids with me, including my 5 year old son Mark, were afforded the opportunity to run the relay with me, down the Palace driveway. 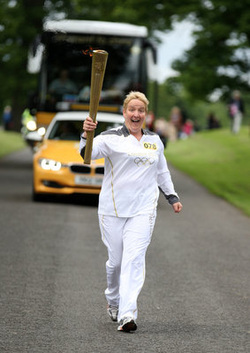 All in all, a very special day and an extra special memory. Special thanks to ClubSport Stirling for making this possible. 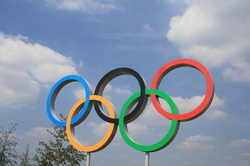 On Thursday 16 August I was lucky enough to experience London 2012 and the inspiration of the Olympics. I had secured tickets for the evening track and field programme which would encompass the Woman’s 1500m Semi Finals, Woman’s Javelin Final, Men’s Decathlon Final Events, Men’s Triple Jump, Men’s 800m final and Men’s 200m final……a feast of athletic activity. Before the main event I had time to take in London and one of the free events running across London, the Women’s Open Water Swimming in Hyde Park with Keri Anne Payne racing for Team GB. Huge crowds filled the park up to 20 people deep around the paths and grass banking’s of the Serpentine. 2 hours and 10 kilometres of swimming later the crowd were still as loud as they had been at the start and although Keri Anne didn’t secure a medal I knew my experience at the Olympics was going to be something special. Onto the Olympic Park through London’s exceptionally efficient transport network and within half an hour we were making our way out into the crowds at Stratford Station. A short time later after making our way through the airport style security checks, largely staffed by military personnel with big smiles on their faces, and we were finally in the Olympic Park. I have never experienced such large numbers of people with 80,000 people arriving for the events in the Olympic Stadium as 80,000 people were leaving the afternoon session, not to mention the tens of thousands of people that were at other venues in the park. A quick rehydration and refuel sharing a table and a chat with an athletics coach from Puerto Rico and we were off into the stadium. given the layout and structure of the stadium. Having been at a range of large sports events from football and rugby internationals to marathons and athletics meetings I can honestly say I’ve never experienced an atmosphere like it. 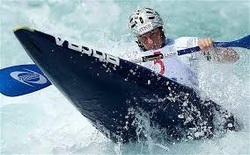 the athletes came under Starter’s orders to wild cheering and jumping up and down as they took off into their races. In between the decathlon events and semi-finals the two main events of the night were the Men’s 800 metres final and Men’s 200 metres final. on this occasion but the Kenyan athlete David Rudisha decided to just go for it and stormed to the Olympic Gold Medal in a World Record time, a huge privilege to witness! With the crowd buzzing having just witnessed a 15 year old World Record being smashed the scene was set for the Showmen of World Athletics to take the stage. Out came Usain Bolt and company to limber up for the 200 metres final. Usain was in his usual relaxed mode playing up to the crowd and flirting with the Games Maker who was collecting his tracksuit and it felt like the only question was who would be picking up the places after 1st. Silence met the athletes as they settled into their blocks followed by the most amazing noise I’ve ever heard, 80,000 people screaming and cheering in support of the 8 athletes and urging them onto the finish line. In under 20 seconds the question was answered, Usain Bolt was Olympic Champion and supported at the top by his countrymen Yohan Blake and Warren Weir. A Jamaican 1, 2, 3…….spectacular! In reflection London 2012, Olympic and Paralympic Games, were spectacular and I feel very honoured to have been able to witness it and be part of the amazing atmosphere that every athlete seems to have thrived on. The legacy is the value of sport and the understanding of how it can impact on day to day lives, but most importantly the value of volunteers and the role that volunteers play in sport every day, something that every local sports club volunteer knows only too well! The AGM will take place in Forthbank Stadium on Monday 29th April at 7.30pm. All affiliated clubs are invited to attend. At a very well attended AGM, re-elected Chairman Fraser Renwick advised this year's handbook was available now. This can be downloaded(6.75mb) from here. Along with Chairman committee members Carol Anderson, Iain Cuthbertson, Blair Prentice were re-elected at the AGM. Alasdair Gammack retains his place on the committee. Fraser invited any clubs to nominate anyone to join the management committee, anyone interested in the first instance should contact Angie Speed. A record year of investing in clubs and the introduction of our Club Survey were the highlights. The full survey results will be made available shortly. athletes? Create an atmosphere where your athletes can flourish? After the success of our first coaching conference please join us to explore some of these topics and how top coaches and players create this environment. It’s that time of year again, the time for Stirling’s Sports Community to recognise the achievements, hard work and dedication of its coaches, volunteers, athletes, teams and clubs through the 2013 Stirling Sports Awards. Nominations are being sought across a wide range of categories and all ClubSport Stirling Clubs can nominate individuals and teams and say thank you and well done to them for all their hard work over the last year. We look forward to seeing you on the night of the Awards, 19 November, and to hearing about the great sporting success in Stirling! All clubs, coaches and memebrs of clubs affiliated to ClubSport Stirling are invited to take part in our 2013 survey.